Prana, aka Tsuyoshi Suzuki is one of the biggest legends of this scene! Active since the early 90s, he is busy again with his biggest love… Old School Acid Goa Trance! The result? The first collaboration ever between an old school legendary label, Matsuri, and the biggest modern goa-label: Suntrip! 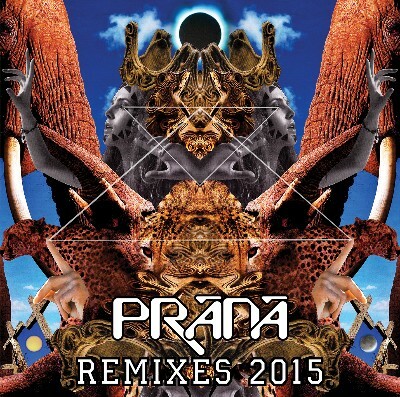 Prana – The Remixes 2015 is a mix between the best digital only goa-trance remixes on Tsuyoshi’s revived label: Matsuri Digital and some other Remixes done by Suntrip artists! The journey starts with a rhythmic, more experimental groover by another classic artist: Nervasystem. Followed by a more powerful and psychedelic version by Israeli Skizologic. The 3rd Boundless remix by Jagoa is more acidic. If you like old school acid-trance in the Green Nuns style, you’ll love this! Alien Pets first remix is done by Imba… More groovy and acidic! Filteria makes sure the climaxes in the original are clearly still up to date and Trinodia continues with some spiralling madness. Astral Projection's remix of Mugen is well known already, but we present you another mixdown of the track! The final track is a favourite party-killer from Tsuyoshi… The Funkygong remix of Boundless… To make sure you end the cd with a smile! So, if you like your goa more psychedelic and acidic, don’t miss this release, and shoot yourself back into the 90s!